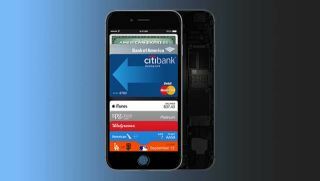 Apple Pay, Cupertino's attempt to help mobile payments take off, will go live on October 20. Apple confirmed the news at its big iPad event today. As expected, the service will only be available in the US to begin with. We can expect to see it in Europe next year. Apple confirmed that it's signed another 500 banks since its announcement at the iPhone event and there were a number of other shops that have been confirmed to accept Apple Pay, including Groupon and Tickets.com. Apple Pay is currently exclusive to the iPhone 6 and iPhone 6 Plus. It will also come to the Apple Watch when it arrives in early 2015. Apple kept quiet about when Apple Pay will come to the rest of the world but Tim Cook did explain that Apple Pay is the ultimate private way to pay for things. Fair enough, but we aren't trying this out until there is a 'make it rain' function.